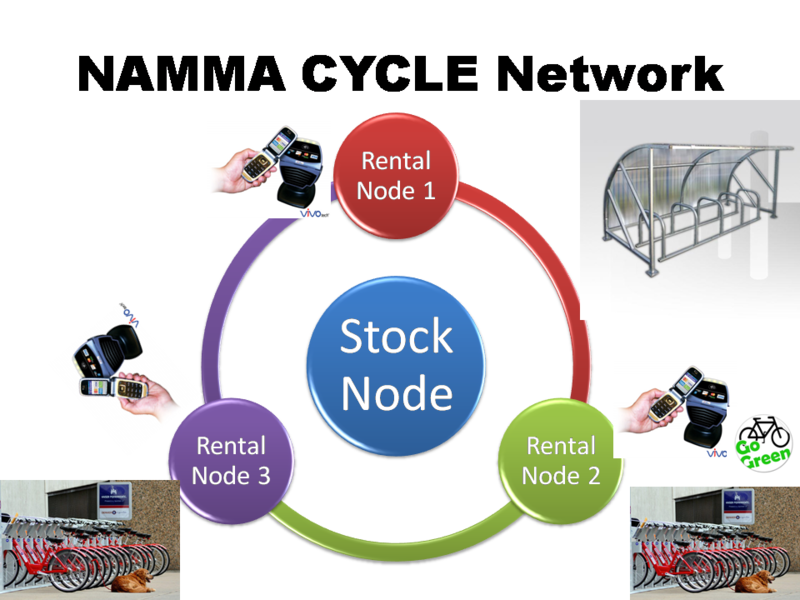 Namme Cycle uses a simple web application for the process of renting out bicycles. The bicycles are available for rent at a network of nodes or stations. A central stock circulates the bicycles between nodes to ensure that bicycles are available at all nodes, at all times. 1. Sign-Up: Sign-up through an online system, receive a unique ID, and pay a nominal pre-paid registration fee. Students will be registered on receiving a letter of authorisation from the respective department heads. The unique ID will be linked to the students’ information on the institute records. The system will store each rental transaction; stolen or unreturned bicycles can be detected easily. 2. Select: Once registered, select a bicycle from any node or station. The node manager will record the rental transaction using a mobile phone application. 3. Ride: The first half hour of each transaction is free. Ride the bicycle to your desired destination within the campus. 4. Return: On completing the journey, return the bicycle to the nearest node or station. The node manager at that station will end the rental transaction.